During pregnancy, the body undergoes many physical and hormonal changes which can affect the mood and emotions of an expecting mother. In order to keep the mother and baby healthy, health professionals recommend some form of light, physical activity, which may or may not vary through the trimesters. 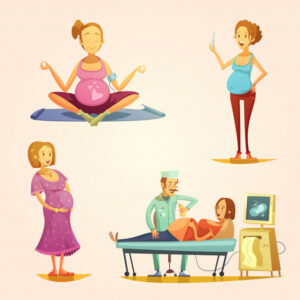 Prenatal Yoga is designed to keep the mind active and healthy, and also, support the changes taking place in the body of the expecting mother. It focuses on increasing the strength and flexibility, and also, on improving the breathing patterns and facilitating relaxation, for a comfortable labor. Breathing: Prenatal breathing techniques help reduce shortness of breath so the mother can work through her labor contractions. 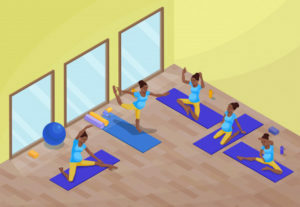 Stretching: Gentle stretching forms are encouraged to enhance movement in different areas of the body. Postures: Gentle movement of the body while standing, sitting or lying on the yoga mat help develop strength, for flexibility and movement. At Wellintra, our trainers encourage the use of props such as pillows, cushions or blankets for additional support and comfort. Cool down and relaxation: Cool down techniques are important for the rejuvenation of the muscles, and restoration of the resting heart rate and normal breathing rhythm. Relaxation post a workout helps you focus on the thoughts and emotions, thus, bringing about a state of self-awareness. While there are various forms of yoga, make sure to consult your doctor and trainer before you begin practicing yoga for pregnancy. The most commonly advised less strenuous forms of yoga are – Prenatal Yoga, Hatha Yoga, and Restorative Yoga. Any strenuous exercises should be avoided during pregnancy. Our trainers at Wellintra focus on customizing pregnancy workouts to help match your requirements and limitations. Consult your Medical Care Provider: Before you begin any form of prenatal workouts, make sure to consult your doctors. Many a time, any form of workout might not be recommended if the mother is suffering from or is at an increased risk of medical conditions, such a heart disease, back problems, or the feeling of light-headedness, before or during pregnancy. Expecting mothers who are at a risk of premature labor are, generally, recommended not to practice prenatal yoga. Recommended time: Most often, the recommended time period for any physical activity is 20-30 minutes, five to six times a week. However, the time period should be tweaked depending on the body’s response to physical exercise. Pace yourself: Avoid pushing your limits while doing prenatal yoga. It is recommended you stop or take a breath if you feel like you are straining yourself too hard. Stay hydrated: Make sure to practice prenatal yoga in a ventilated room to avoid the feeling of breathlessness or uneasiness. Don’t forget to stay hydrated to keep yourself from feeling week and tired. Avoid certain postures: This is one of the important points every prenatal yoga trainer and mom-to-be should be well aware of. At Wellintra, our trainers specifically pay attention to, and guide you through all the postures you should and shouldn’t be doing while pregnant.We believe in using props to avoid too much of forward or backward bending. Postures that stain any part of the body, especially your back and your abdomen, should be avoided or practiced under careful supervision of a professional trainer. 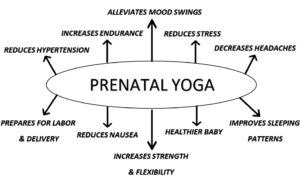 Given below, is a diagram that explains clearly, the benefits of Prenatal Yoga. Working on building endurance, increasing flexibility, and learning how to cope with stress are effective tools to prepare the mind and body for delivery. 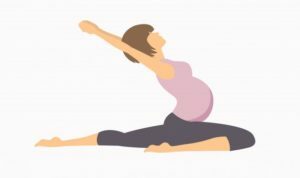 Remember, practice Prenatal Yoga only under the supervision and guidance of a professional trainer who is well-versed with the knowledge of postures and variations to match your comfort levels. Focus on choosing a trainer who can make the practice of prenatal yoga a joyful experience for you and your little one who’s yet to come. Given below, is a beautifully demonstrated video of a prenatal yoga sequence by Sarah Beth Yoga, to give you an insight on Prenatal Yoga.